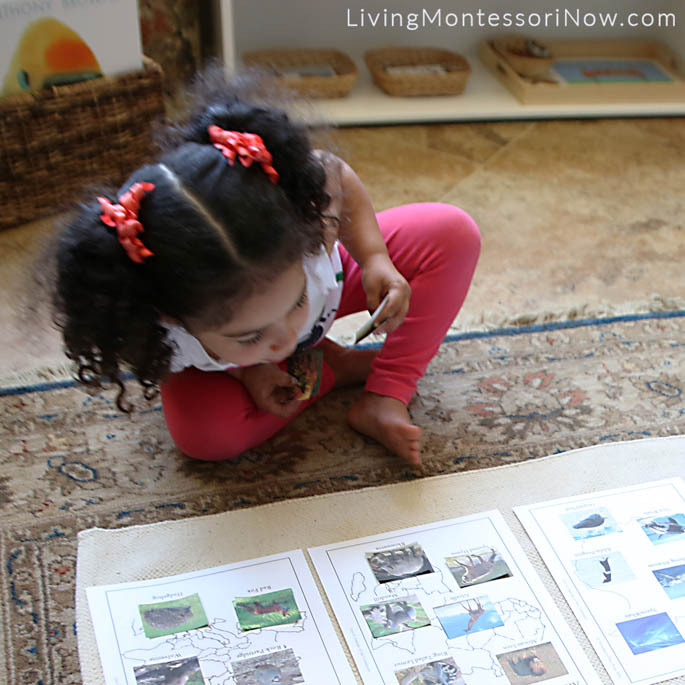 Parents often worry about the work and time involved in preparing Montessori activities. 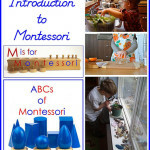 But Montessori activities can often be prepared easily and quickly as well as attractively. 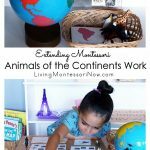 My Montessori animals of the continents activity today only took about 15 minutes to prepare. It would have taken longer if I had been preparing it for a classroom, but it was simple to prepare for homeschooling or afterschooling. We’re doing lots of zoo activities for our zoo unit. My 3½-year-old granddaughter, Zoey, has been loving the zoo activities, and she had lots of fun with this activity, too. Montessori Print Shop Animals of the World Continent Pages and Animals Cards (part of the Animals of the Continents Set. This set is also part of the 21 Montessori Print Shop materials included in the Montessori at Home eBook and Materials Bundle!) In addition, I used a color continents map from the World Control Maps Set. 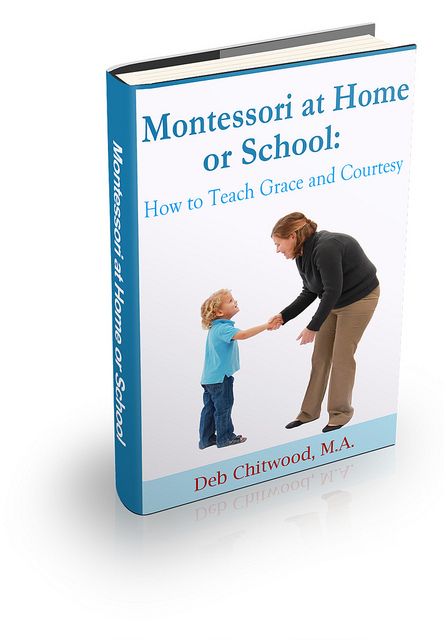 This is also included in the Montessori at Home eBook and Materials Bundle. There are 7 work maps with continent outlines in the Animals of the Continents set that could be used for coloring or other work, too. Safari Ltd. animals or Schleich animals may be added if desired. This is especially important for toddler animal work. We have a number of Safari Ltd. animals for other zoo activities right now, so I just used the cards for this. Laminate if desired, although decide if it’s essential for your children. 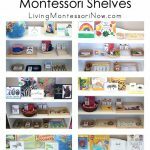 For a Montessori classroom, I always laminated materials and left a ¼” laminate edge. For home use, I typically print out the materials, laminate them, and then cut them out on the lines. They’re not as durable, but they can be prepared quickly and are generally durable enough for home use. Sometimes I don’t laminate the activities at all. If I don’t expect a material to be used much, I’ll just print it out on cardstock and leave it unlaminated. I love the Scotch Thermal Laminator for anything I do laminate. 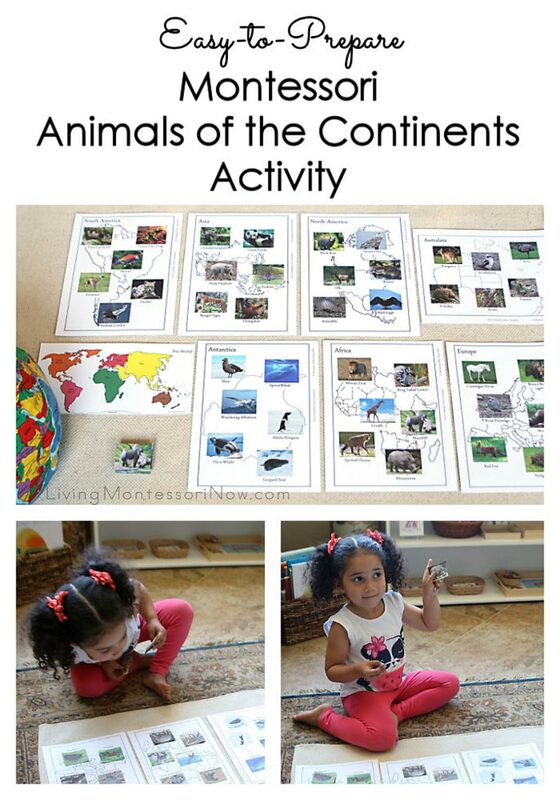 I used a Montessori Services large rug for the animals of the continents layout. 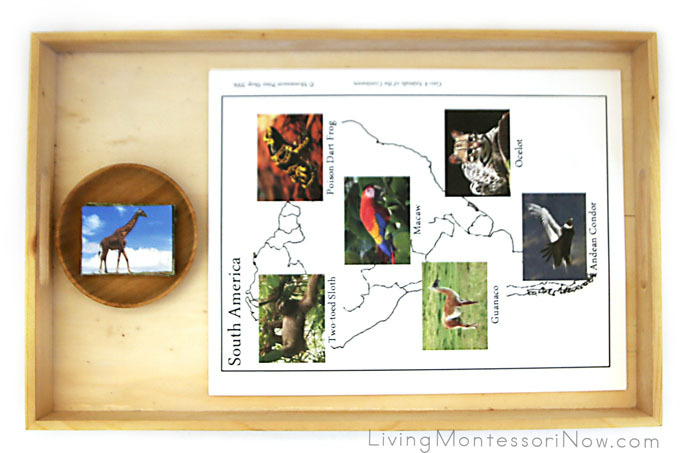 If you have a Montessori continents globe, that would work perfectly with the printables. I use our Pocket Hugg-A-Planet Earth for all our globe work. I used the color continents map page to coordinate with the continents globe and maps at Zoey’s Montessori school. First, we laid out the pages and placed the cards in a stack. Then Zoey simply matched the animals. We talked about each animal and its continent as Zoey placed the picture cards on the maps. We could have just used one or two continent pages and the matching picture cards. Zoey has been doing and loving the zoo animal work, so she was interested in the animals from all the continents. When all the cards were on the continent pages, I said the names of the animals from each continent for Zoey to find and put away. We went through each continent one at a time, and Zoey picked up the animal card as I said its name. Some are easy, like the rhinoceros in the picture. But some animals are more unusual, such as the ring-tailed lemur of Africa or the guanaco of South America. Zoey was proud of how many animals she knew! 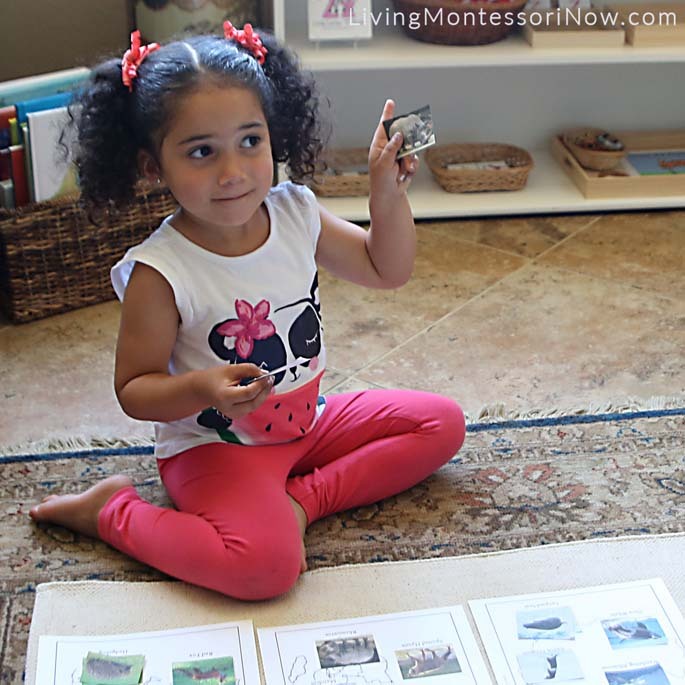 Does your child have a favorite animals around the world activity? Hi, good time, best of all, I appreciate your attention.